Recently, much has changed for the better in Irish genealogy, what with records coming online for free, or being made more generally accessible. But the recent introduction by the Irish Family History Foundation (through its website RootsIreland.ie) of charges to view its online indexes to records has come as a complete shock. It appears that mixed messages are now emanating from Ireland! One of the most used and beneficial websites, sponsored by the Irish government’s department for Arts, Heritage and Gaeltacht Affairs - IrishGenealogy.ie - offers free access to parish register indexes and records from Dublin, Cork, Kerry and Carlow. The site is a joy to use, and for most entries links are provided to digital images of the original record, enabling verification of data. Meanwhile, the IFHF does not provide links to the original records and charges have now been put in place to view the indexes, and that’s before paying to view the transcription of the record itself. Contrasted with the government website, this appears a poor bargain by comparison. It is a worthwhile exercise to read RootsIreland's extremely restrictive Terms and Conditions. The tone is hectoring and threatening – and it begs the question of who on earth advised them on their public relations policy? Quite alarmingly, the terms determine “your rights, responsibilities and benefits” but I think most researchers will be alarmed to read that “you may only use www.rootsireland.ie and its contents for your own personal non-commercial use... you cannot provide third parties with details of any records that you have paid to view, even if you provide them for free (so don’t pass on any family history records to your family)... if you do not agree with any of the Terms and Conditions do not use the site”...threats of disconnection and possible prosecution follow. Given the number of complaints already received by the IGRS, the IFHF clearly needs to seriously re-think this model of negativity and re-instate the free viewing of the indexes without delay! Approximately 72,000 burial records for the older section of Overleigh Cemetery in the ancient northern English City of Chester have been added to the Deceased Online database. This release of records datse from 1850 to 1953 (records for 1953 to October 2011, the Overleigh ‘New’ Cemetery, are already on the site). The records comprise burial register scans and grave details; maps indicating grave locations will be added in the near future. Overleigh Cemetery contains many historically interesting burials and beautiful memorials such as the celebrated ‘Queen of the Gypsies’, Mary Finney, and her husband Guilderoy Finney. The Cemetery also has many records featuring Irish names so will be of interest to the Irish diaspora. The total dataset for the council area, Cheshire West and Chester, now comprises over 200,000 burial and cremation records. I really, really hate this. I defended this site for so long in the main, simply because they were allowing free index searching. The site had several problems but I thought it was worth it because with their allowing free searches I was able to overcome most of the site's shortcomings and I didn't think their prices were out of line (if you could use free searches to whittle down to the pertinent records). Now, I can't support them any more. LHA, Rootsweb Limerick. There's no way I'm paying for searches. Results, yes. Searches, no. BA, IGT. Picture the scene: You go to Amazon to buy John Grenham's latest book. You type his name into the search box. You have to pay to view the list of possible results. And then you pay again to buy the book itself. I don't think so. PT, IGT. It is a real disappointment that one has to pay even to look at their index. Also, one cannot pay by Maestro card. As I do not have a credit card, I cannot even access the indexes!! Bobby, IGT. This reminds me of those shops in France that proudly display 'Entre Libre' above their doors. I always thought they were bizarre, after all, who expects to pay just to see what's on sale? Dan, IGT. I would rather pay a set sum each year - like Ancestry - rather than this. Now you have no chance! Tina, Rootsweb Limerick. The most annoying thing for me about the changes is it stops third party searches. I'm a regular on the Liverpool & South West Lancs forum where we get a lot of enquiries about Liverpool Irish ancestors. I can no longer direct people to possible matches on Roots Ireland. Blue70, IGT. You know how Ryan Air's add-on charges always leave you with a dirty taste in your mouth and the sense that you've just been ripped off - this index search fee makes me feel the same. Ann, IGT. Nul points to rootsireland - I would guess their business will plummet overnight, once people have used their 10 free searches. It is just not worth buying such a pig in the poke. Corisade, RootsChat. Policing and Police Records in Ireland, An overview. The motion The Celts did occupy Ireland will be proposed by Professors David Stifter and Graham Isaac and opposed by Professors Peter Woodman and Tadhg O'Keefe. The Irish Genealogical Research Society Ireland Branch has announced the details of its AGM & Lecture, and it looks like an event that shouldn't be missed. Venue: Dublin City Library & Archive, Pearse Street, Dublin 2. Aideen Ireland, senior archivist with the National Archives of Ireland, will present her lecture entitled The Landed Estate Court Rentals: now digitised, but still a much underused source. Warwick University will host The London Irish in the Long Eighteenth Century (1680-1830) conference, 13-14 April. The Irish became an intrinsic part of the London population through the course of the 18th century. 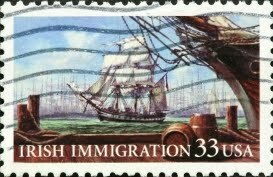 It offered opportunities for waves of Irish migrants, whether from the professional or labouring classes and regardless of religious persuasion. But data on these migrants is relatively scarce and what little exists tends to concentrate on the famine years. So this conference aims to take a deeper look at how the Irish were received, at the networks they created, and how they evolved during the long 18th century before the Great Hunger. Topics include literature, history, visual culture, architecture, and women's studies, so there should be something for everyone. This interdisciplinary conference is being organized by David O’Shaughnessy and will be hosted by the Department of English & Comparative Literature, University of Warwick. Plenary lectures will be given by Dr Toby Barnard (History, University of Oxford); Professor Claire Connolly (Literature, University of Cardiff); and Professor Mary Hickman (Sociology, London Metropolitan University). The full programme can be viewed here. Costs range from £30 for single day attendance, including lunch (£25 for students), to £150 for 2-day attendance plus full board and overnight accommodation. Three bursaries are available thanks to the support of the Embassy of Ireland, Great Britain. 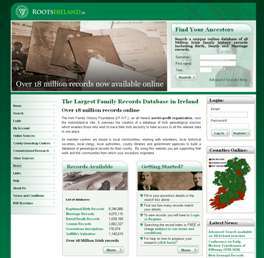 RootsIreland, the island's largest database provider run by the Irish Family History Foundation, has today changed its fee structure, as announced at the WDYTYA? Live Show last month (see my report). In its place comes a credit system, which will be familiar to users of many other online databases, and not just in the genealogy field. With free index searches consigned to the past, it will now 'cost' 1 credit per page of up to 10 search results. When you select a specific record to download, the 'cost' will be 25 credits. Exactly how much that 'cost' will be in real money depends on how many credits you buy at one time. Bulk purchases are rewarded with progressively cheaper credits the more you purchase. Each time you do a search you are told how many records have been located matching your search criteria. Before displaying the results you have the opportunity to re-define or narrow the search, without displaying the results. If you decide to view the results they will be displayed in pages that contain a maximum of 10 index results. You can then choose to select one of the index results and download a record. Samples of records are available here. Ten free searches are being offered to new users of the site. New users are described as those who were not registered before 18 March. I've just been to the site to test out how the new system works. I've been a registered user for years. I was offered ten free pages of results! For many Irish genealogy reseachers, having to pay for what used to be free (the initial search) won't go down well. But if they use the Advanced Search fields wisely, they should find that the records they subsequently select to download have cost them less than they would have under the old system. For the sake of the IFHF, which has operated in the face of constant loud criticism for so long, I hope so. But I'm not holding my breath! Next Wednesday's Linen Hall Lecture 'Gone for good: PRONI sources on emigration', which was due to delivered by Dr Ann McVeigh, has been postponed because there's a possibility of disruption due to industrial action across the public sector. The lecture has been rescheduled for 1pm on Wednesday, 27 June 2012, at the Linen Hall Library. Admission is free, but book your seat in advance as numbers are limited. The Historic Graves Roadshow, a heritage project that teaches local communities to record their history, personal memories and graveyard inscriptions, arrives at its second stop today: St Canice's in Finglas, Dublin. It's a fascinating project that's been funded by the Department of Arts, Heritage and the Gaeltacht through the Environment Fund. In case you missed it, my blogpost on Tuesday had a full explanation of the Roadshow's aims. Read it here, or visit Historic Graves. The Federation of Irish Societies, an umbrella organisation for Irish groups in the UK, has launched a campaign called Ireland Inspires. It's aim is to raise the profile of Irish culture during the Olympic year and to celebrate the contribution of the Irish community in Britain to the arts, culture and sport. This Cultural Olympiad will focus on art, poetry, sport, music, dance and stories and will build into a showcase of the very best of Irish culture in Britain. A new website, Ireland Inspires Me, has gone live to start spreading the word and is inviting people to add their own thoughts about what inspires them, and to add details of events. There's also the opportunity for Tweeters and Facebook users to add a Twibbon to their avatars as signs of support. The website doesn't seem to be fully ready for a flood of visitors (lots of going around in circles to the same messages), but you'll get the drift and can sign up for an e-bulletin and future event listings. 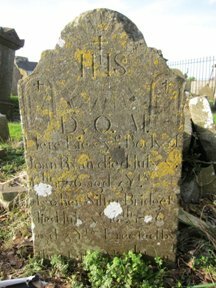 LAOIS (Queens) Genealogy Archives - Headstones. Two weeks ago, the Minister for Disability, Equality, Mental Health and Older People, Kathleen Lynch TD, formally opened a new exhibiton centre at Watson House, 7 State Street, New York. The exhibition tells the moving story of thousands of Irish women who arrived in the city between the 1880s and the mid-20th century. This is interesting enough in itself, but of greater genealogical interest is a unique set of records that were discovered here back in 2005. Ledgers containing the names of some 60,000 female immigrants from Ireland were found in the building, which lies at the southern tip of Manhatten. They belong to the Mission of Our Lady of the Rosary for the Protection of Irish Immigrant Girls, the inspiration of Charlotte Grace O'Brien (1845-1909), the remarkable daughter of William Smith O'Brien. to provide a chapel for immigrants. By 1908, nearly one-third of the 307,823 Irish girls who had passed through the Port of New York had passed through the Mission. It had found employment for 12,000. The ledgers show that most of the girls boarded a ship at Queenstown and nearly always came from a rural background. Mayo, Galway, Cork, Kerry and Roscommon accounted for nearly half of the arrivals whose county of origin was recorded. The final phase of a long project is now being realised. The exhibiton centre opened on 7 March at the home of the Mission and the unique collection of records will soon be accessible to genealogists in a family history research room within the building. Kilkenny-raised genealogist Joe Buggy, who lives and works in New York, has been told by the Mission that the records should be available 'in about one month'. Thanks for sharing the info with Irish Genealogy News, Joe. I don't often take too much notice of updates of Ancestry's USA collection but this one caught my eye today: the Massachusetts, Town Vital Collections. They contain more than 8.2 million records from 1620 to 1988 and you can be certain that there's a ton and a half of Irish folk within. The collection was gathered by a couple, Jay and DeLene Holbrook, who were carrying out their own family history research. They soon realised that the majority of towns in Massachusetts had little to no knowledge of the condition or even the location of their vital records collections. So they set out on a 30-year mission to compile a collection. Like you do. The result is a collection that covers 315 of the state's 351 towns and cities. And it's now online for the first time. It includes original images of Massachusetts town records with details such as names, birth dates, birth places, baptism records, parents’ names, marriage records, courthouse records, and death records. I've just checked out the collection for the number of records held for my surname, Santry. I do this beauuse it's a rare topographical Irish surname that originates very specifically from one tight area of South West Cork, so it's a useful barometer of how thorough a collection will be for Irish genealogy researchers. Lo and behold, 191 records. Entering another family name, Doyle, practically blew up the search mechanism. Well, okay, not quite. But it had more than 10k names and in among them I hope to find the marriage and death records for my great uncle Patrick who left the country for Boston in a bit of a hurry in the early 1920s. There are several others of my grandparents' generation who shipped off, heading for Boston and the huge Irish community there. The release of this new collection may well be my opportunity to discover more about them, and fill in the gaps in my family tree. Of course, it will not just be of huge value to family historians on this side of the Atlantic. There will be many Irish-Americans making new discoveries, and perhaps finding another generation or siblings or even leading to the name of a townland of origin. Massachusetts is the 'most Irish' state of America. According to statistics revealed by the 2010 US Census, some 23% of people living in the state say they are of Irish origin. If you were planning to attend the Tracing Your People Conference hosted by Cork Genealogical Society and Cork City Archives on Saturday 31 March, you better book your space quickly. Only 20 places remain, and it is expected the event will be fully booked by the end of this week. JOHN GRENHAM: Major irish records – what's there and what's not. TONY MC CARTHY: Family history research when you hit the brick wall. ROSALEEN UNDERWOOD: Sources for Cork merchant banking families. BRIAN MCGEE: Sources for family history at Cork City & County Archives. GERRY WHITE: Researching an ancestor who served in the Great War. DECLAN CHALMERS: Arranging and presenting genealogy data. The event will be held at the Ambassador Hotel, Military Hill, Cork, from 9.15am to 5pm. It is free, but booking is essential. More details. 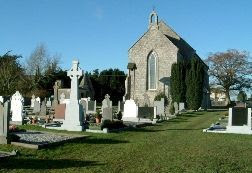 Today, the Historic Graves Roadshow arrives at St John's Cemetery in Kilkenny. This is the first of the Roadshow's three educational workshops which guide local communities in the appreciation and digital recording of the heritage that lies in their graveyard. These Roadshow workshops are similar to the grass-roots heritage projects conducted by Historic Graves all over the country. All pass on techniques that encompass genealogy, archaeology and conservation. But there's one big difference: the graveyards and cemeteries chosen for the Roadshow are in urban environments, and this factor has opened up a new source of funding to Historic Graves: the Environment Fund (raised by the plastic bag levy). I spoke to John Tierney, one of the core team behind Historic Graves about how the concept for the workshops originated. "We're archaeologists," he explained. "We were studying and surveying historic graveyards as service providers and while we were good at recording surnames and other information, we weren't making any connection with the heritage we discovered. It needed the connection of locals. "Now, with this workshop model, our techniques have evolved and its the local community which is recording their own heritage. We show them how to do it. We are teaching them techniques and leveraging modern technology to allow them to independently gather, record and store their own records." Workshop participants learn to identify different types of memorials eg to compare the styles typical of 18th-century headstones with those of 19th-century headstones. "In the process, they begin to appreciate the wealth of heritage that's on their doorstep," says John. "It happens very quickly. Once you show them one detail, they get it." They are also made aware of the tradition of unmarked headstones ie obvious gravemarkers without any inscription. "We've learned through our archaeology work that these were chosen quite specifically for the individual whose grave they marked. There are round ones, square ones, white ones and so on, deliberately chosen to remember that one person. Unfortunately, these haven't been respected for what they are and many have been pulled up. So there's obviously a bit of education to be done on this issue." So how will today's workshop, which involves students on the Rothe House Cultural Heritage course, pan out? The day will start with a bit of an intro from the Historic Graves team. But it's kept short, John says, because gravestone recording is very much dependent on good light conditions, and it's best just to crack on with the recording process. One group will be despatched with the digital camera, which has a geo-locator chip installed to capture the location of each grave. Another will be filling in record sheets with the dimensions and other identifiers of grave markers. Another will be doing newspaper rubbings, to capture the iconography and inscriptions. If today's workshop follows the same pattern as last week's training session at St Finian's, in Newcastle, Co Dublin, all photos will have been shot by lunchtime, and they'll all be on the Historic Graves website by mid-afternoon. Inscription details follow, as do audio and video recordings. The Newcastle group, for example, has already uploaded audio recordings of the church bells, the tales of a local family buried in the rural graveyard, and the reminisences of a former gravedigger. Having given Newcastle locals the techniques to record their heritage, they are now able to upload it directly to the website, where it is freely available for all to enjoy. What a terrific boon for any genealogist whose family hailed from the parish! Quite apart from the benefit to family historians, the local community also benefits, as it reconnects with its heritage and in turn develops a stronger sense of association with the place. It is also very rewarding work for the Historic Graves team. "While we could always see the merit of our work as archaeologists, most of the public didn't!" says John. "Now it's different. We started out as archaeologists and moved into genealogy and our work has since evolved into community development. And it's very satisfying." The Historic Graves Roadshow has two more stops after today's trip to Kilkenny. Later this week it will be at St Canice's in Finglas, and next week at St Anne's graveyard and St Finbarr's Cemetery in Cork City. Find My Past.co.uk is offering a 10% discount across all its subscriptions and pay-as-you-go offers until 28 March. Check out the options to see which record sets are included in each subscription. To take up the 10% discount, type SOCIAL10 in the Promotional code box on the order page. Military Manoeuvres – Placing Ireland's Military records online, with Captain Stephen MacEoin, Archivist of Military Archives. The lecture is free and everyone is welcome to attend. It starts at 7pm. On Wednesday 21 March, between 10am and 7pm, the Library will be holding a World War One Family History Roadshow in Kildare Street, Dublin. You can bring along photographs, letters, postcards, medals, coins, keepsakes, diaries, sketches, army discharge papers, diaries, rosary beads, recordings and any other memorabilia belonging to family and friends who took part in World War One, and tell their stories. Historians and experts will be on hand to discuss the significance of your finds. The material will be scanned on the spot by Library staff and you'll be free to take your items home with you. Once scanned, the material will be uploaded to the Europeana 1914-1918 website. Th Europeana is Europe's digital library, museum an archive and it is building the first ever online archive of private stories and documents from WW1 in time for the 100th anniversary of the outbreak of the war in 1914. 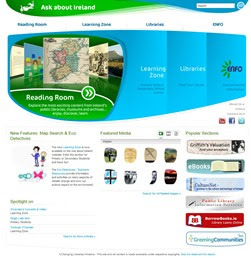 The project involves the National Library of Ireland (NLI), Oxford University and Europeana. If you can't make it on Wednesday, you can still add your memorabilia to the archive. Just scan or digitally photograph your items, and upload them to the website (you'll find instructions on the Add Your Story page). The project is part of the build-up to the 100th anniversary of the outbreak of WW1. Speaking at the launch, NLI Director Fiona Ross said that it is vital we preserve precious documents and other memorabilia in digital format for future generations of historians, genealogists, schools and cultural organisations in remembrance of the war and its effect on people’s lives. “Digitisation will ensure that World War One-related materials are not destroyed or thrown away," she said. "It will also allow the information in those materials to be incorporated into apps for smartphones and tablets that will bring history alive for people in contemporary ways." The National Library roadshow is one of the first in a series that is being rolled out in the UK, Luxembourg, Slovenia, Denmark, Belgium and Ireland this year to create a unique pan-European virtual archive of World War One that is available to everyone. In conjunction with the Genealogical Society of Ireland (GSI), John Hamrock of Ancestor Network will be running a six-week Irish genealogy course starting this coming Saturday morning. The course is designed to help beginners unlock the mysteries of their ancestry and includes guided tours of the National Library, Dublin City Library and other important centres of research. All the essential principles and resources of Irish genealogy research will be covered. Held at the GSI's Archives at Carlisle Pier, Dún Laoghaire, the course costs €270, which includes a one-year student membership of the GSI. Contact John for more details. The release by the National Archives of Ireland of its scanned wills calendars from 1923 to 1982 (see previous post) has got researchers looking forward to the release of the earlier batch of records (from 1858). They are currently being indexed by the LDS Church and will be made available in due course on the Family Search website. Here's the link, which you might like to keep an eye on! The National Archives of Ireland has been busy updating its online catalogue with an entry for each of the Calendars of grants of probate of wills and letters of administration from 1858-1982. While the search facility is a tad confusing (to put it politely), the updated catalogue is in good shape if you're looking for wills dating from Independence to the 1980s. All calendars from 1923 to 1982 have been scanned. You'll find links to each year's calendar here, courtesy of CIGO. Taking it one stage further, all entries in the calendars from 1935 to 1949 have been keyed, so each now has its own individual entry in the online catalogue, with a simple link to the exact page of the scanned calendar. Each of these entries also has a link to the NAI order form for Testamentary Copies for users who wish to order copies of the original documents. Example: I'm researching the life of my grandfather's brother, Jeremiah Santry. A simple search produces two results. One is of a Jeremiah whose will is dated 1986. Clicking through to the catalogue entry, I find his address, date of death, and date probate granted. There's a reference number that will allow me to follow the trail in person to the original documents. This being a 1986 grant, the documents are not available to order. The second Jeremiah died in 1936 and is, indeed, the one I'm after. His catalogue entry provides similar information but also, because it's a 1936 grant, prompts me to order copies of the original documents via the downloadable order form. A minimum two weeks is stated as expected turnaround time. These keyed entries amount to just over 158,000 new entries in the online catalogue, while the scanned pdfs contain around 700,000 names. Collectively, they will be of huge benefit to Irish genealogy researchers. Unfortunately, the ordering process is resolutely manual and only Euro cheques and postal orders are accepted in payment by post. Hopefully the NAI will improve those options in due course. To search by year, use this link. Scroll to the year you want and click it. Digital Document: Calendar of grants of probate of wills and letters of administration 19xx.pdf. Click on this pdf title and it will start to download, ready for you to search alphabetically. Be patient, they are big files. If you have chosen a year outside of those dates, the next screen will not have a digital document link because the calendars for those years have not yet been scanned. From the NAI home page, follow the link to Search the Archives. Just type in the name, as you would in any search engine, and you can sift through the results to find the one you want. Not all the results will be probate records. Remember that the only probate records to have been keyed in are for the years 1935-1949. You won't find named probate results outside of these dates. The Simple Search is not just suitable for unusual names, like my Santry example above. I also used it in a search for my great grandfather, Patrick Doyle, who died in 1947. It returned only 86 results (not all probate records), and his probate record was easy to identify because occupations are shown in the result abstract. He was a retired coach builder, so he stands out clearly. The button is to the left of the Simple Search box. Person/Institution : Name of person you are researching. A search will then produce a list of results for you to sift through. Sunday 18th: GRRRRR! The Advanced Search doesn't seem to be working. 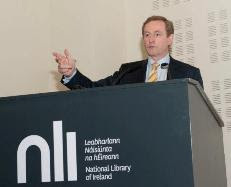 The Ireland Reaching Out project (IrelandXO), which has been described as 'reverse genealogy' in action, has become a national project after being launched as such by An Taoiseach Enda Kenny TD. The scheme is based on a simple idea; instead of waiting for people of Irish descent to trace their roots, IrelandXO reaches out from the opposite direction. Working through voluntary effort at a townland, village and parish level in Ireland, people identify who left, and set out to trace them and their descendants worldwide, proactively engaging with them and inviting them to become part of an extended 'virtual' community with their place of origin. 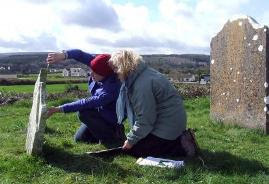 The national pilot project of Ireland XO was developed in South-East Galway from October 2010 through to July 2011. It subsequently expanded to a number of pilot project areas from Donegal to Kerry. Since then, more than 2,500 parishes have joined up to this unusual Irish genealogy project. The official launch of the national programme took place at a reception at the National Library in Kildare Street. "There are few human instincts stronger than the need to belong," said Mr Kenny. "And it is not surprising that for many people, tracing their genealogy becomes a personal and emotional journey. The Ireland Reaching Out initiative is all about enabling and helping people to make that journey." Find out more about the Ireland Reaching Out project. Ancestry has had St Patrick's Day on its mind, judging by its rush to upload Irish genealogy records in the last couple of days. The biggest story is the arrival of the Belfast Newsletter collection. The Belfast Newsletter is the world's oldest English-language daily newspaper still in circulation. This collection dates from 1738 to 1925 and contains over 200,000 pages. You'll find everything from local births, marriages and deaths, to international stories on the French Revolution and the Declaration of Independence. As well as being able to search by name, you can browse the editions by date to find out about the stories that mattered to your ancestors. Another new collection to Ancestry is The Dublin Probate Record and Marriage Licence Index 1270-1858. This contains index entries extracted from wills, letters of administration, acts of probate, marriage licences and other records from the Diocese of Dublin. Most of the entries list a name, place, occupation, year, record type and a page number for the original volume. County Antrim 1851 Census, now 28,780 records. To celebrate their first St Patrick's Day, FindMyPast.ie is offering a 10% discount on all subscriptions from tomorrow (16th) until Monday 19th March. The Ireland-dedicated database provider is also running a competition across social media platforms with a top prize of a 12-month subscription to Find My Past Ireland and a brand new digital camera. a guide to some of the FMP team's favourite festival events taking place in Dublin, and the history associated with them. Dublin-based genealogist Tom Coughlan has pointed me in the direction of a library that seems to be hiding its light under a bushel: Family History Books. It's a collection of some 40,000 digitised genealogy and family history publications from the archives of seven major US family history libraries. It includes family histories, local histories, genealogy magazines and tutorials, gazeteers, dictionaries, histories and pedigrees.... you name it... It's provided by Family Search, the vast LDS-run site. How (and why) they've kept this quiet, I've no idea. You can search by name or place, by author or by title, or by any term you like, but you'll get a more focussed result if you use the Advanced Search facility. And then the results download, much as they would from any search engine, with a brief description of the publication, its author and holding library. You can then download the whole publication. Big, small, somewhere in between, the whole thing downloads in a pdf that you can read on screen or save to your computer or print out. 19th-century records pertaining to Hunt families in the Vicinity of Ballyhaunis, County Mayo. Index to the marriage licence bonds of the Diocese of Cork and Ross 1623-1750. Index to the Prerogative Wills of Ireland 1536-1810. The Journal of the American-Irish Historical Society. Records of the Parish of Arklow, Co Wicklow. Samuel Lewis's Topographical Dictionary of Ireland 1865. Some records of the Lurgan Quakers of Northern Ireland. Immigration of Irish Quakers into Pennsylvania 1682-1750. A History of the Name MacCarthy. You get the idea! It's free. It's online, and newly digitised books are regularly added. Many thanks to Tom Coughlan for the info. The fifth lecture in the PRONI/OU Exploring Local History series focussed on Crime and is now available on YouTube. Delivered by Dr Barry Sheehan, it can be accessed by typing in PRONIonline in the YouTube search bar or by opening the following links: Part 1, Part 2, Part 3, Part 4, Part 5, Part 6. Time for edification through a number of Hedge Schools, hosted by Tommy Graham, editor of the brilliant History Ireland magazine. The format of lively round-table discussions with historians and well-known personalities works well and the subjects covered are diverse. Subjects include the 1641 Depositions, Brian Boru and the War of Independence and pose deliberately controversial questions to stimulate debate. Great stuff. A Twitter account with the hashtag @Limerick1912 is tracking life, day by day, in Limerick 100 years ago. It's the brainchild of Limerick City Library Local Studies Team, and worth following if you've got ancestors from the city. Podcasts and videos galore at the Dublin Heritage site, which is run by Dublin City Libraries. If you missed any of the lunchtime lectures sponsored by the Friends of Medieval Dublin over the last I-don't-know-how-long, here's your chance to watch and listen at your leisure. There's also a collection of other lectures on subjects as diverse as the history of Dublin's trams to 19th-century Catholic architecture via the life and times of Charles Wesley. Since the madness of St Patrick's is almost upon us, here's a timelapse video of how those Crazy Chicago folks turn their river green to kick-start the celebrations. Powdered vegetable dye is used to colour this central stretch of the city's river and canal network in an event that is sponsored by the local plumbers union. The tradition is now 40-odd years old. You could be forgiven for thinking the only anniversary this year was the Titanic. But there's a much more interesting date coming up that will mark one hundred years since the signing of the Ulster Covenant. It was the introduction of the Third Home Rule bill that triggered the drafting of the Ulster Covenant (follow this link to a brief overview from the BBC earlier this week). And on 28 September 1912, some 500,000 unionists pledged to use "all means which may be found necessary to defeat the present conspiracy to set up a Home Rule parliament in Dublin". The documents were signed by 237,368 men and 234,046 women and their signatures have been digitised and can be searched at PRONI. A series of events exploring various aspects of the Ulster Covenant will be held over the next few months in the ‘Shipyard Church’, Westbourne Presbyterian Community Church, 149a Newtownards Road, Belfast, where 3,371 actually signed the Covenant. In addition to the informative illustrated talks from experts in their field, each evening will include music and/or poetry from the period. The events are free, they all start at 7.30pm, and tea and coffee will be available. Thursday 22 March: An Introduction to the Ulster Covenant. ‘100 Years On’ Drama – Talk by Gordon Lucy. Monday 30 April: Presbyterianism & the Ulster Covenant, with John Erskine & Nelson McCausland MLA. Wednesday 23 May: Nationalism & the Ulster Covenant, with Dr Eamon Phoenix. 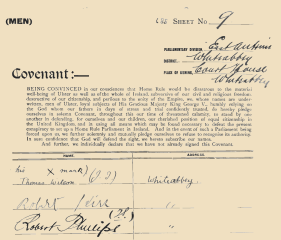 Thursday 21 June: Women & the Ulster Covenant, with Dr Diane Urquhart & Philip Orr. 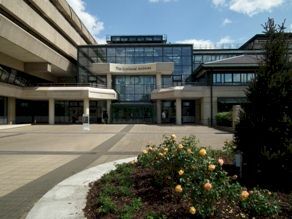 The UK's National Archives (TNA) holds a lot of records pertinent to Irish genealogy research so its recent call for volunteers should not be heeded only by those with British ancestry. Volunteers are needed to trial an online community pilot. Help is needed to see if such an online community could assist TNA archives to develop and improve their online services. What they want is feedback on new features and functions, and a mechanism for collecting new ideas from users. To start with they need only 100 volunteers who will be signed up on a first come, first served basis. The new community will be closed so that only members can view and interact with the content. If you are not selected for the initial trial, you’ll be able to join a waiting list; TNA would then notify you if a decision is made to expand the community and increase the number of members. The trial will run for six months between March and August 2012. If deemed successful, a permanent community will be established as part of TNA's package of online services. If you'd like to register your interest, you can provide basic details here. The Certificate of Irish Heritage is offering a whopping discount for St Patricks Day. Handy for Mothering Sunday, too. Order before the end of March and the price will be only €25, that's a whole one-third off the regular price. Full details. Encyclopaedia Britannica is to cease production of its printed edition after more than 200 years of publishing history. It follows a steady shift away from printed sales over the last twenty-odd years. The news does not mark the end of the famous Encyclopaedia, however. Online versions are updated continuously and are interactive. Subject matter is wide and includes biographies, historic events and perspectives, and timelines, and other subjects that can help us better understand our ancestors' lives. Check it out for yourself — the publishers are making the content of the website free until Monday 19th. My Glasgow Granny from Donegal. Is there a woman from your past who made the journey to Scotland from Ireland? Book in to one of three sessions (3-4pm; 4.15-5.15pm, 5.30-6.30pm) at Glasgow's Women's Library on Thursday 15th March to share stories about your female relatives who made the journey. History Ireland's Hedge School will be arriving in Clifden, Co Galway on Friday 16 March, as part of the Clifden 200 celebrations. The round table discussion The War of Independence: ‘Four glorious years’ or squalid sectarian conflict? will be chaired by History Ireland's editor, Tommy Graham. On the panel are Mary Harris (UCG), Conor McNamara (Notre Dame), Cormac Ó Comhraí and Pádraig Óg Ó Ruairc (UL). Venue: Station House Theatre, Clifden. 7pm. €10. Booking. The Story of the Irish in London. A seminar will be held at the London Irish Centre, 50-52 Camden Square, London NW1 on Saturday 17 March. Tony Murray of the Irish Studies Group at London Metropolitan University will present a lively lecture on London's oldest migrant community. Expect discussion and debate. 2-4pm. £8. Details. The Community Relations Council and the Heritage Lottery Fund have organised a series of 10 weekly lectures covering this critical historical period. Unfortunately, I didn't hear about this until after the first lecture had taken place so the list below is of the remaining nine lectures, including tonight's. The format will be symposium style with one hour for speakers and one hour of discussion based on questions from the audience. The principal speaker (listed below) will provide the overview for about 30 minutes, followed by two experts giving different perspectives who will speak for 15 minutes each. Wednesday 14 March: Covenant Day 1912 – The Alliance of Ulster Unionism and British Conservatism with Dr Alan Parkinson. Ulster Museum, 7-9pm. Wednesday 21 March: Nationalism in Ireland 1900 – 1916: Home Rulers, Separatists and Protestant Nationalists, with Dr Michael Laffan. Ulster Museum, 7-9pm. Wednesday 28 March: The Labour Movement in Ireland 1900 – 1922, with Dr Emmet O’Connor. Ulster Museum, 7-9pm. Wednesday 4 April: Ireland and the First World War, with Professor Keith Jeffrey. Ulster Museum, 7-9pm. Wednesday 18 April: Overview of the 1916 Easter Rising, with Dr Fearghal McGarry. Drama Theatre, Stranmillis College, 7-9pm. Wednesday 25 April: The Women’s Movement in Ireland 1910 – 1922, with Dr Myrtle Hill. Drama Theatre, Stranmillis College, 7-9pm. Wednesday 2 May: The Irish Revolution: From Rising to Truce 1916 – 1921,, with Professor Michael Laffan. Drama Theatre, Stranmillis College, 7-9pm. Wednesday 9 May:Partition, Treaty and Civil War, with Dr Eámon Phoenix. Drama Theatre, Stranmillis College, 7-9pm. Wednesday 16 May: Trapped by the Border: Northern Nationalists and Southern Unionists, 1916 – 1925, with Dr Eámon Phoenix. Drama Theatre, Stranmillis College, 7-9pm. The primary purpose of the series is to produce resources that will then be available to stimulate group discussions and local events. While principally targeting community groups such as local museums, historical societies, cultural and heritage groups, arts organisations and educationalists, the series is also open to interested members of the public. Further details and booking form. See the Marking Anniversaries website for more information about the philosophy and approach taken by the organising bodies. Legislation to allow the digitisation and release of Ireland’s 1926 census will be passed within three to four months, according to Heritage Minister Jimmy Deenihan TD. The release of 1926 Irish census has been the subject of a long campaign by the Council of Irish Genealogical Organisations (CIGO). Steven Smyrl, CIGO’s executive liaison officer, was delighted to learn of the Minister’s statement. ‘This is terrific news and more than justifies the long campaign which CIGO had led to convince those responsible that the 1926 Irish census returns are an invaluable source for the history and genealogy of the Irish people. Exactly where family historians will be able to access the 1926 census returns remains to be seen although it is thought unlikely that free online access won't be part of the package. As to the timescale, the Minister has previously expressed a desire to see the release completed by 2016, in time for the anniversary of the 1916 Easter Rising. Whether or not any redaction of information (to obscure personal data of people who were children when enumerated) will be insisted upon, is another detail yet to be confirmed. What is important right now is that plans to release these records have shifted from the ‘wish list’ to enactment. So what information will the 1926 census returns reveal when released to eager Irish genealogy researchers? Size of the household’s landholding, if any, in acres. Obviously, questions like these help provide us with fabulous detail about our ancestors and may well help many Irish genealogists break down brickwalls or solve family mysteries. Examples of the 1926 census can be downloaded from my website. Askaboutireland.ie, the splendid site best known in Irish genealogy circles for its free access to Griffiths Valuation, is being updated with a number of new topics of social and historical interest. First up, and already live, is a Traditional Irish Cooking section which has been developed with renowned Irish chef Kevin Dundon. It covers the evolution of Irish cooking across five themes: Dairy, Meat, Poultry & Game, From the Field and From the Sea and includes recipes based on traditional cooking. Videos are available, too. The Arts and Literature section of the Reading Room is also rather lovely to dip into. 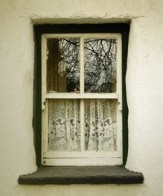 It now contains a collection of over thirty traditional Irish songs and children’s songs, which have been recorded. Some were performed with harp accompaniment and most were performed with a capella. In addition to audio recordings (a selection is also on video), the lyrics and origins of the songs are also available. For those with an interest in the history of farming, an overview of Farming in Ireland will shortly be uploaded. This has been created in co-operation with the Irish Farmers Journal and is a comprehensive view of key aspects and trends. It also features a substantial collection of images from the archives of the Farmer’s Journal, together with a number of videos. The AskaboutIreland website is continuing to grow in popularity and usage attracts an average of 30,000 visits per week currently, over 50% of which are from nationally-based users, with the balance coming from the US, UK, Australia, New Zealand and Canada and the rest of Europe. Handouts from (most of) the talks delivered at WDYTYA? Live are now available to download, free of charge, from the website of the Society of Genealogists. 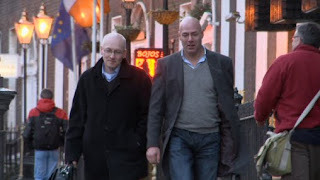 You may have heard about a new programme launching tomorrow evening on RTÉ1: Dead Money. 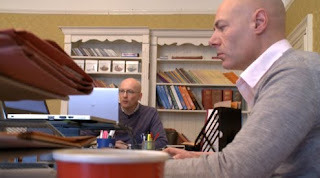 It's a six-episode series following brothers Steven and Kit Smyrl, two of Ireland's foremost legal genealogical researchers, as they track missing beneficiaries to unclaimed estates. I caught up with them last week, between filming for the final two programmes, to get the low-down. "The stories which unfold in Dead Money are typical of the case loads we deal with each year," says Steven. "And most of the beneficiaries we find are as thrilled to learn about their family history as they are to inherit a few bob." The first episode reveals Steven and Kit's efforts to find the relative of a Dublin woman, Maura Byrne. The tale they uncover takes in the squalor of the inner-city tenements in the early decades of the 20th century, and the sad abandonment of a young boy in an industrial school. Later episodes find the brothers in America, London and France and reveal the steps taken by their Dublin-based genealogy firm, Massey and King, to follow the trails of unsuspecting heirs. Never mind the human interest in watching long-lost relatives react to news of their inheritances, Irish genealogy researchers are going to be engrossed by the steps taken by Steven and Kit as they set about their quests. Steven is the researcher par excellence. He trawls old bound volumes, dusty documents and online databases for the vital clues that move each case forward. Meanwhile, Kit hits the streets to do hands-on research: talking to friends and neighbours of the deceased, as well as experts and specialists – in fact anyone who can guide him along the trail that leads to the living relatives who are entitled to the estate. Steven told me that he'll never cease to be amazed by the conundrums left by people who die without making a will. "Some cases have been like reconstructing a jigsaw with a high proportion of missing pieces, but we've never been completely foxed. The biggest estate we ever dealt with was for €13million, left by a man born to an unmarried mother who fled to America and then died in the flu epidemic. "The deceased's civil birth record said she was called plain Nellie McDermott and we thought we'd never solve the case. But by chance we later discovered her real name was Penelope!" Kit, too, enjoys the thrill of the chase and remembers one case where the nephew of the deceased insisted all his siblings were dead. "I had a feeling this wasn't true," he says. "It took me six months but I proved that each of his six brothers and sisters were still alive and well! It's incredible what some people will do to get their hands on some cash!" As the new programme will demonstrate, the Smyrl brothers work on cases that take them around the globe, but one of the greatest challenges they experience is the lack of source material in Ireland. "The loss of Ireland's 19th-century census records has echoed down the decades since 1922," says Steven. "But in a more immediate context, Ireland needs to get its act together and follow Scotland's lead to place its 'historic' civic records on the Internet. "Northern Ireland expects to do this by 2014. The rewards are easy to quantify." The first episode will be broadcast tomorrow night (7pm, RTÉ1), you can view a trailer here. FindMyPast.co.uk have just published a huge collection of 3,878,862 records from Welsh parish registers. This first swathe of records covers the counties of Cardiganshire, Carmarthenshire, Denbighshire, Flintshire and Glamorganshire. And there's more where they came from! About five million more records – from Anglesey, Brecknockshire, Caernarvonshire, Merionethshire, Monmouthshire, Montgomeryshire, Pembrokeshire and Radnorshire will be added over the coming weeks. For those Irish genealogy researchers who've been waiting a long, long time for Wexford records to appear online, this release, while not extensive, is great news. I'm told more will follow, although not necessarily soon. FindMyPast.co.uk has released merchant seamen records dating from 1835 to 1857. It's a big collection – some 359,000 individuals are included – and the details can sprinkle some personality into your research. Among the details recorded are year and place of birth, physical description (including tattoos), ship names and dates of voyages. My maternal line is big in minor shipowners, captains and sailors so I was expecting them to figure strongly in this collection. And they do. But I was hugely surprised to find no less than 31 Santrys -- my paternal line -- queueing up, waiting to be researched and (hopefully) allocated to families in my one-name study. Can't wait for a bit of quiet time to get on with that. Belfast City Council has upgraded its online burial records so that you can now very easily find out who else in buried in the same grave as your ancestor. You simply click on the grave or 'lair' reference number to discover details of the other occupants. The council's burial records include about 360,000 records covering Dundonald (from 1905), Roselawn (from 1954) and Belfast City (from 1869 and including the Jewish, public and Glenalina extension sections). Where available the following information is held about deceased: full name, age, last place of residence, dates of death and burial, cemetery they are interred in, grave section and number. FindMyPast Ireland have released another small collection: the Raphoe Marriage Bonds 1710-55 and 1817-30. These will be of great interest to Irish genealogy researchers who have links with Co. Donegal in the periods from 1710-55 and 1817-30 but you should note that it is merely a list of the bonds received by the Public Record Office from the Diocese and therefore cannot be considered a complete list of marriages in that Diocese. The bonds refer to marriages celebrated in the Established Church but do not cover either Catholic or Presbyterian weddings, unless for some reason they were celebrated in the Anglican church. The diocese of Raphoe consisted of thirty four parishes and covers almost the whole of the county except the Inishowen peninsula (Derry Diocese) and the very south of the county (Clogher Diocese). The original bonds were destroyed in the Public Record Office fire of 1922, consequently all that survives is the index. The Irish experience of migration to Wales was the main topic discussed at the Irish in Wales - Identity in Context event held at the Beaches Hotel in Prestatyn, Denbighshire on Friday afternoon. Dr Paul O'Leary from the University of Aberystwyth opened the discussions with a resumé of 19th and 20th century migration from Ireland to Wales. 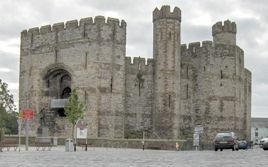 While early migrants tended to settle in South Wales, especially around Cardiff, Newport and Swansea, later groups went to North Wales, among them many thousands who worked on the Holyhead to Chester railway in the 1840s. While there were some 20-odd instances of riot or serious public disorder on record in the 19th century, most of these were prompted by job or wage differentials or reductions, rather than rooted hostility towards the Irish. In general, the Irish received a positive reception in Wales, certainly much better than the open prejudice prevalent in Scotland and England. There was little of the sectarianism and violence that made life so unpleasant for early migrants in those places and still shamefully boils up and scars daily modern life in Glasgow, for example, or Liverpool. The Irish living in Wales (dubbed the WIrish by Chris Ruane, the local MP who chaired the discussion) did not encounter such bigotry, then or now. Many of the audience were first or second generation Irish and they spoke of their own experiences of migration and ease of integration into the Welsh community. The reasons for this easier acceptance of the largely Catholic early Irish migrants are complex. Many potential layers of similarity, such as music, and a history of trade between the two nations, were discussed, but the most likely explanation is the slightly different religious emphasis in Wales. While Protestantism was 'the norm' in Wales, just as it was in England and Scotland, it was a non-conformist Protestantism; such non-conformity saw its main enemy as the Church of England/Wales ie the Anglican church, rather than Catholicism. Indeed, Roman Catholics were also non-conformists by the standards of the day. Bronwen Walter, Professor of Irish Diaspora Studies at Anglia Ruskin University spoke about the scale of the diaspora and how it has always been much mobile than is generally recognised. Irish migration, she said, has never been all one way, nor has it always been from A to B. It is more fluid than that. She talked about the identity crisis suffered by those who left Ireland in the 1940s and 1950s and by their children. While their emotional and cultural ties to Ireland remain incredibly strong, there is a tendency for Ireland to perceive their expressions of Irish-ness as Plastic Paddy syndrome because they were either not born in Ireland or don't sound Irish. Studies have shown a negative health differential between those who emigrated to the UK in the mid-20th century and those born-in-UK. Even when all lifestyle factors have been removed, the differential remains, suggesting that the emotional experience of migration, and its attendant losses (perhaps of identity as much as of family, culture or landscape) and of 'being different', negatively impacts on health. Guest speakers included Murray Morse, the new editor of the Irish Post newspaper (just nine days in post, 'scuse the pun), Jane Connolly, the cultural and community attache of the Embassy of Ireland, who spoke about the ties that bind Wales and Ireland, and Fiona Smith of Irish in Britain/Federation of Irish Societies, which has just launched a new campaign called Ireland Inspires. The event was sponsored by the Irish Post newspaper and jointly hosted by the Federation of Irish Societies and the All Party Parliamentary Group on the Irish in Britain. Proceedings opened with messages from President Michael D Higgins and the First Minister of Wales, Carwyn Jones. Regarding the Irish in Wales article and the comparison with Glasgow and Liverpool. Liverpool no longer has sectarian problems. It had problems in the past but the slum clearance programmes done away with those divisions. The only remnants of our troubled past is a small Orange parade each year and one Republican flute band. We don't have the divisions of Glasgow which are kept alive by the football teams there. Ireland Genealogy Projects Archives have uploaded the following files to their free website in the last two weeks. All month: Irish History Month (UK based) A month-long celebration of language, music, theatre and fun. Details. Friday 2 March: Irish Migration in Wales. A roundable discussion with principal speakers Dr Paul O'Leary, Dept of History & Welsh History at Aberswystwyth University, and Bronwen Walter, professor of Irish Diaspora Studies at Anglia Ruskin University. Beaches Hotel, Prestatyn. 2:00-6:00pm. Details. Saturday 3 March and Sunday 4 March: Irish War of Independence Exhibition and Lecture, with the Irish Volunteer Commemmorative Organisation. 10:00am to 6:00pm,Best Western Perys Hotel (formerly Glentworth Hotel), Glentworth Street, Limerick City. Lecture with Tom Toomey, author of The War of Independence in Limerick 1912-1921. Entry €5pp or €10 per family. Enquiries to info@irishvolunteers.org. Wednesday 7 March: Family history for beginners online, with Elizabeth Consiglia/Irene Costley. Newtownards Library. 10:30 to 12noon, and 2:00-3:30pm. Free. newtownards.library@librariesni.org.uk. Wednesday 7 March: Answering the Sick Call: Medical dispensaries and doctors in 19th-century Ireland, with Dr Catherine Cox, National Library, Kildare Street, Dublin. 7:00-8.30pm. Saturday 10 March to 30 April: Titanic Belfast Connections Exhibition. Free. Linen Hall Library, Belfast. 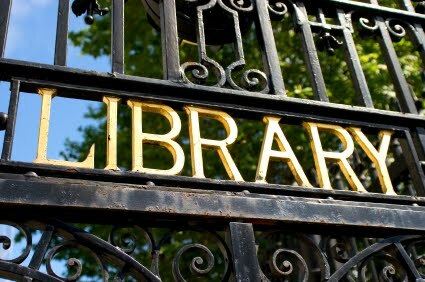 Sunday 11 March: National Library of Ireland – Open Day. Carry out some genealogy research, look behind the scenes, discuss the workings of the Library with staff, take in the Yeats exhibition, explore Particles of the Past and drop into Cafe Joly for refreshments. 1:00pm to 5:00pm. All welcome. No booking. Sunday 11 March: If maps could speak - the history of the Ordnance Survey in Ireland, with Richard Kirulan. Kildare Archaeological Society. 3pm. Kilcullen Heritage Centre. €5 including tea. Tuesday 13 March: Some Sources for Family History Research in the City Archives, with John Grenham. Genealogical Society of Ireland. Dun Laoghaire College of FE, Cumberland Street. 8pm. Wednesday 14 March: The Gaelic World. Gordon McCoy of the ULTACH Trust traces the history and contemporary state of Gaelic languages from their beginnings in Ireland to their development in the Isle of Man, Scotland and Canada. 7.30pm. Free. Lisburn City Libary. lisburncity.library@librariesni.org.uk. Thursday 15 March: At the Crossroads - Newry from earliest times to present, with Tony Canavan. Newry City Library. Free. Booking required. 028 3026 4683. Saturday 17 March: Cemetery and Headstone Research in Ireland. 11:00am Bethpage Public Library, New York. Thursday 22 March: The Presbyterian Churches – a documentary record, with Valerie Adams. Presbyterian Historical Society of Ireland. Belmont Prebyterian Church, Belfast. 8:00pm (preceded by Society's AGM at 7.15pm). Friday 23 March: A Nostalgic Look at the Belfast Shipyards and Titanic. Part of the Take 30 series of digital film presentations. Killyneagh Library. 1.15-1.45pm. Free. Details: killyneagh.library:librariesni.org.uk. Friday 23 and Saturday 24 March: Conference: Gender and Irish Society in the 19th and 20th centuries. Moore Institute, NUI Galway. Details. Saturday 24 March: My Ancestor was Irish, a half-day course with Michael Gandy. Society of Genealogists, London. 10:30am-1:30pm. For beginners and refreshers. Details. Thursday 29 March: Exploring Local History - Urban history. PRONI and OUI Lecture Series. 6.30-8:00pm. PRONI, Belfast. Free, but booking essential at proni@dcalni.gov.uk. Thursday 29 March: Digitising Early Medieval Ireland, with Dr Nora White, Dublin Institute for Advanced Studies. The Helen Roe Lecture Theatre, 63 Merrion Square, Dublin. 7:30pm. Details. Saturday 31 March: Tracing Your People, One-Day Family History Conference presented by Cork City and County Archives in association with the Cork Genealogical Society. Ambassador Hotel, Military Hill, Cork. 9:30am -4:30pm. Free. Details: (021) 4505876 or archivist@corkcity.ie. 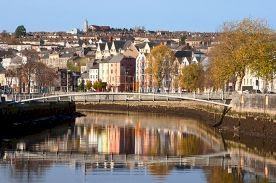 The event is part of the Cork Lifelong Learning Festival 2012.